Coached athlete Ollie Maynard arrived for his first FTP test today. 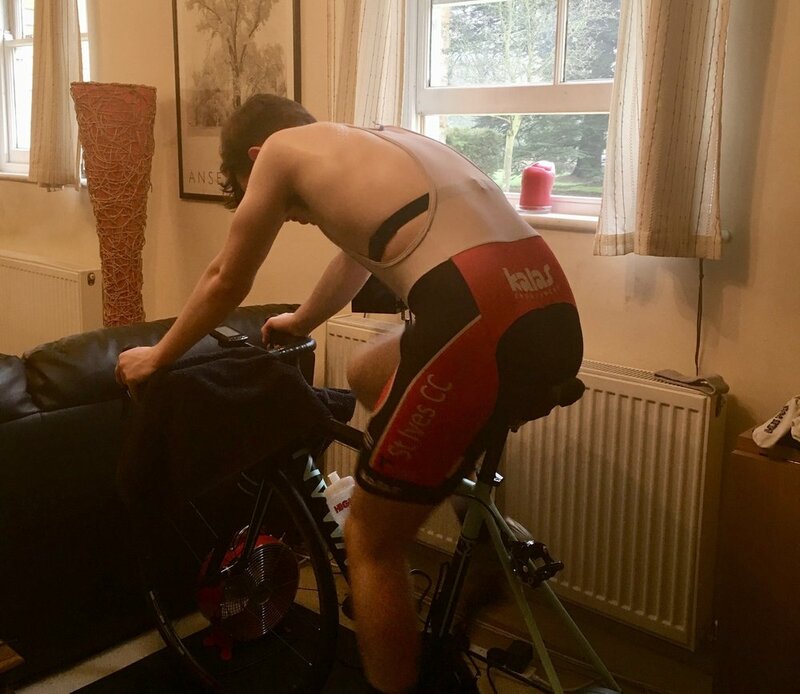 He hasn't used a power meter before, so we used the Tacx trainer to get a power number, and also calibrated his threshold heart rate for the rest of his training. Ollie has been off the bike for a while due to illness so we are scheduling a base fitness plan to get him back up to speed.